1:20pm – J-Dub getting his hands dirty giving car #88 a spruce up before this afternoon’s 200km race. There’s no “i” in team here at RBRA. 12:20pm – JW will start at the front of the grid ahead of race two in P2. SVG in P6. The bulls are ready to charge! 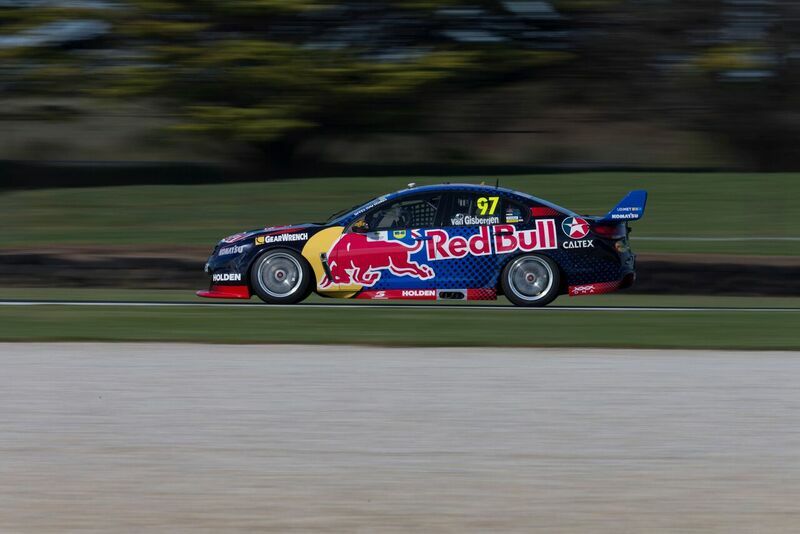 10:55am – FUN FACT – Triple Eight Race Engineering will be celebrating their 400th V8SC race today. Time to put the Red Bulls on ice and get ready to par-tay! 10:40am – The question of the weekend: how many people can touch type? This is the kind of conversational gold that goes on during the drivers’ blackout periods before on-track sessions between shouts of pain on the physio table. 9:02am – Sun is shining today at the track (must be Phillip Island making up for yesterday’s weather). 8:42am – Don’t forget to head on down to the True Colour Track Walk this morning to meet the drivers and see the bulls. 7:48am – Nothing like a good session of pit stop practice to wake you up on a cold Sunday morning. Right, when’s breakfast? 3.41pm – Watching some great racing on track by the DVS drivers! 2:09pm – On the scene like a mean machine. With still over 2 hours until we hit the track we can’t help but take some time to admire our bulls! 1:50pm – JW starts P4 on the grid with teammate SVG behind him in P5. Race 1 kicks off at 4.30pm and is sure to be a cracker! 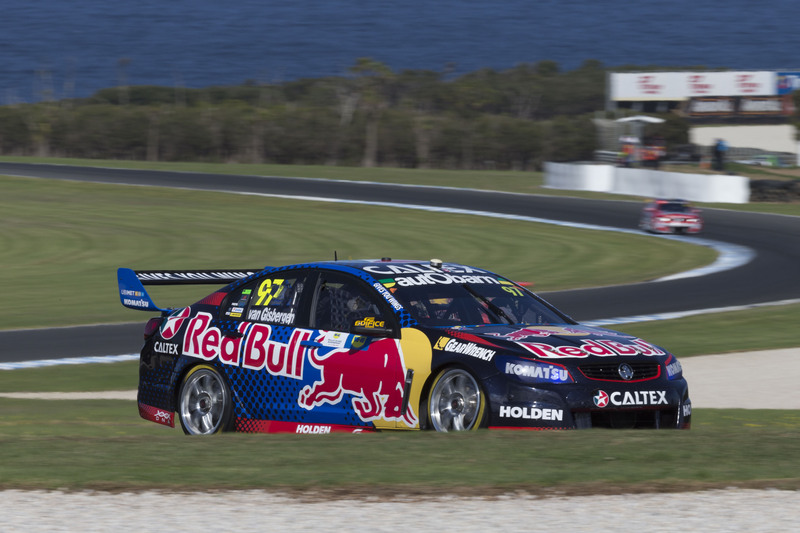 11:47am – Final practice session of the weekend is done with SVG sitting P2 and JW P3. Showers are happening on and off as we wait for qualy at 1:30pm. 10:47am – SVG was all smiles at today’s V8SC Autograph signing session. After two strong practice sessions yesterday and one more practice session to go today, SVG and car #97 are truely a dynamic duo. 3:00pm – Practice one results – JW in 3rd, SVG 6th. 11:20am – SPOTTED – SVG’s new helmet. Sleek! 7:11am – Erm….We are pretty sure the Phlllip Island track is in there…somewhere…. 2:00pm – We just hit the track and are ready for set up. A little different getting to track on a Thursday afternoon! 10:32am – HOT TIP – Don’t forget there is free entry to the track tomorrow! 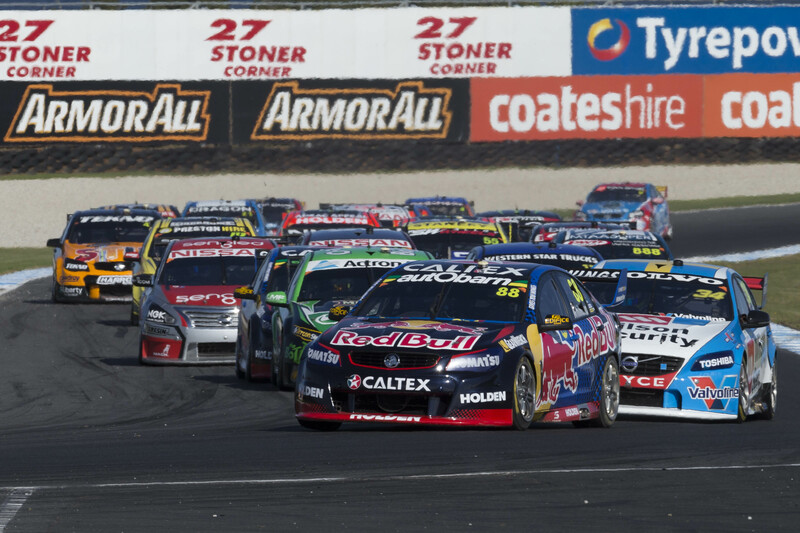 GA entery tickets are on V8 Supercars, awesome! 8:11am – RBRA ASKED – Dutto, we’ve had a good run at Phillip Island in the past, what do you think contributes to our success? 3:55pm – Don’t miss catching up with J-Dub and SVG this weekend – plenty of opportunities! 12:01pm – It’s only just occurred to us that Mario isn’t here to feed us as he’s already Phillip Island-bound….Lucky we’ve got plenty of beef jerky from our mates at Local Legends! 8:11am – BEHIND THE SCENES – 2015 BTS snaps from Phillip Island. 4:45pm – If you haven’t already checked it out, the T8M8 Home Team Memberships are now available. Check it out HERE. 2:30pm – HEADS UP – Want to meet SVG and J-Dub? Check out the driver appearance times ahead of Phillip Island below. Note: *All autograph sessions at the RBRA merchandise shop require a signing card, which can be picked up from the on-track store on the day of the session for a gold coin donation. All proceeds go to the Wings for Life Foundation. 12:00mid – The boys are tweeting! Head over our Twitter to get involved. 8:12am – Catch Cauchi and Shippy on Twitter at 12pm today for 30 minutes as they answer all your questions (yes, ALL). 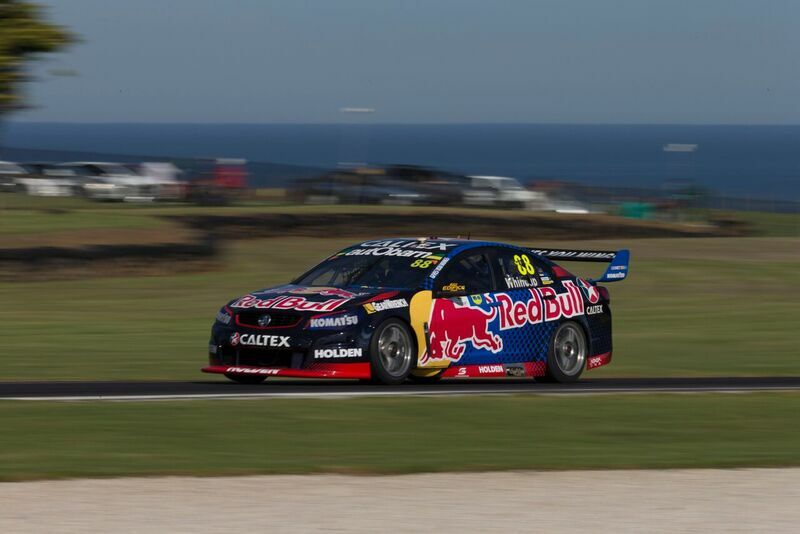 Make sure to @redbullracingau #redbullracingau to join the conversation. 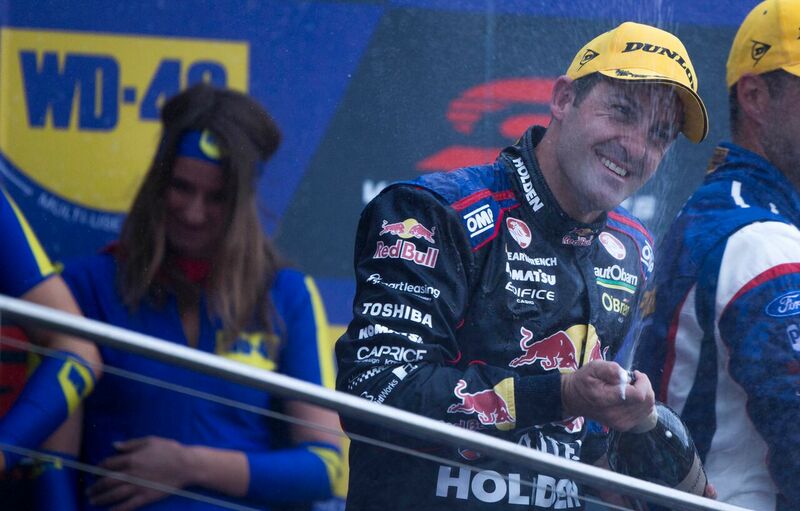 3:52pm – THROWBACK – When Lowndesy celebrated, hard, after last year’s Phillip Island. 1:30pm – Final touches on #97 happening. Just waiting for some fresh stickers. 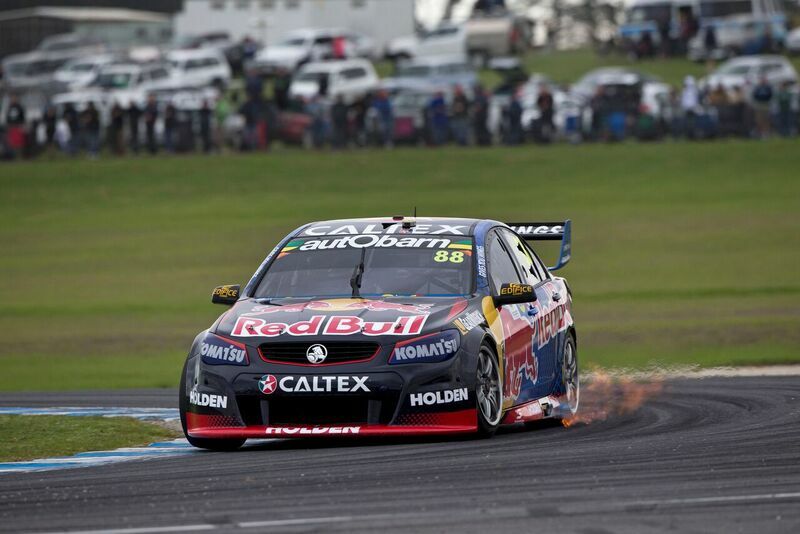 8:10am – FUN FACT – It’s J-Dub’s 11th season with Triple Eight, his 13th full-time in V8SC.